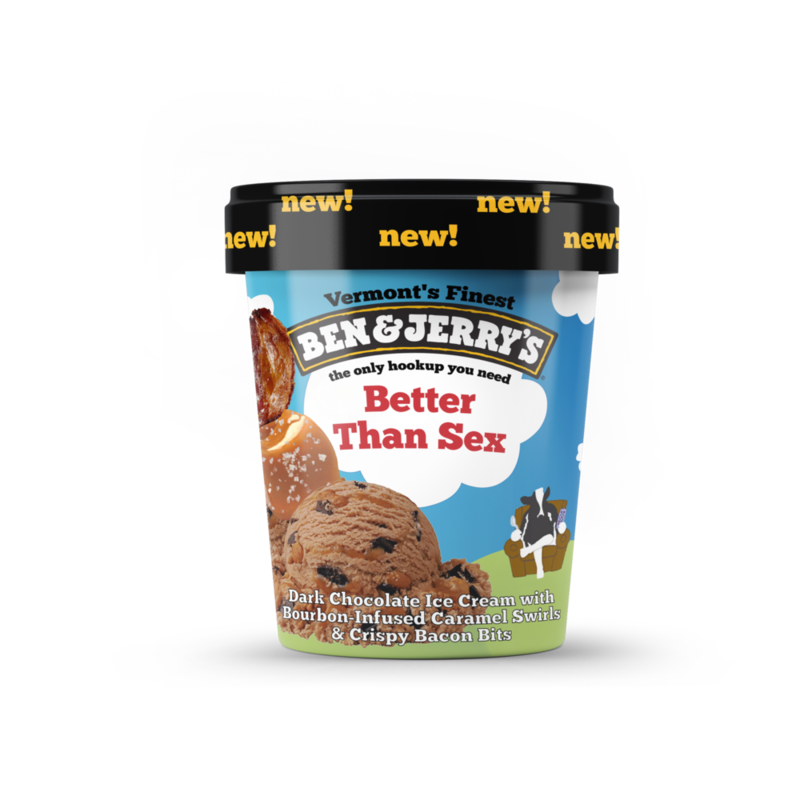 Ben & Jerry is redefining Netflix and Chill by releasing three new ice cream flavors that replace the 'chill' in Netflix and Chill. 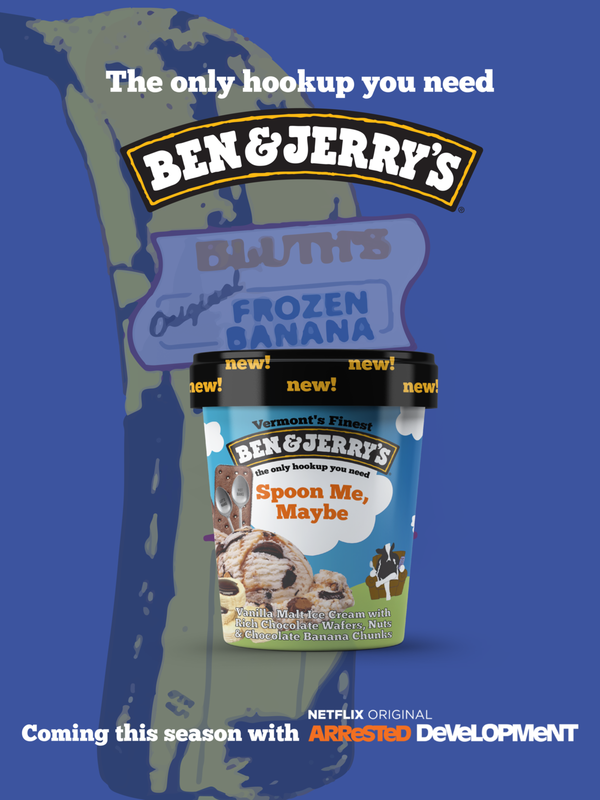 A new flavor is released when it's corresponding Netflix show releases a new season on Netflix. We make it easier for two people to hang out and watch Netflix without feeling pressured to hookup. Through Postmates people can enjoy a curated pack that includes custom spoons and a pint of one of Ben & Jerry's new ice cream flavors to share. 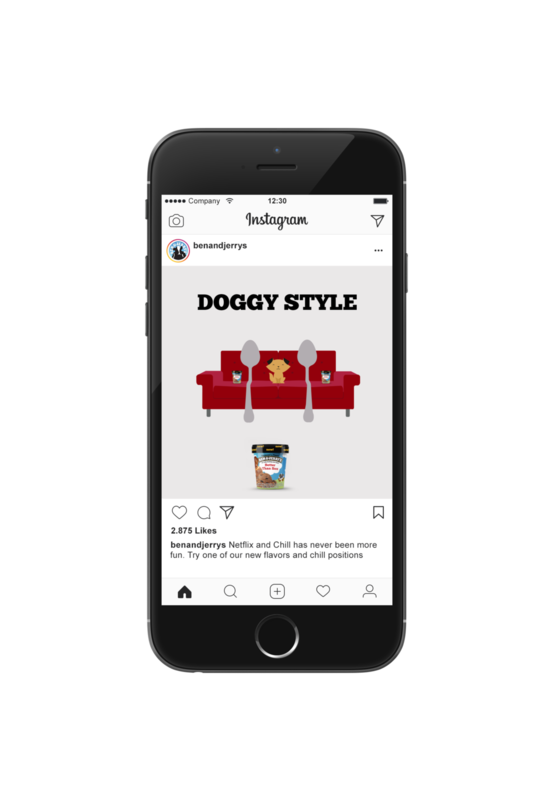 In the pack, we also include our own official Netflix and Chill guide, because there are a lot of different ways to chill and not hookup. 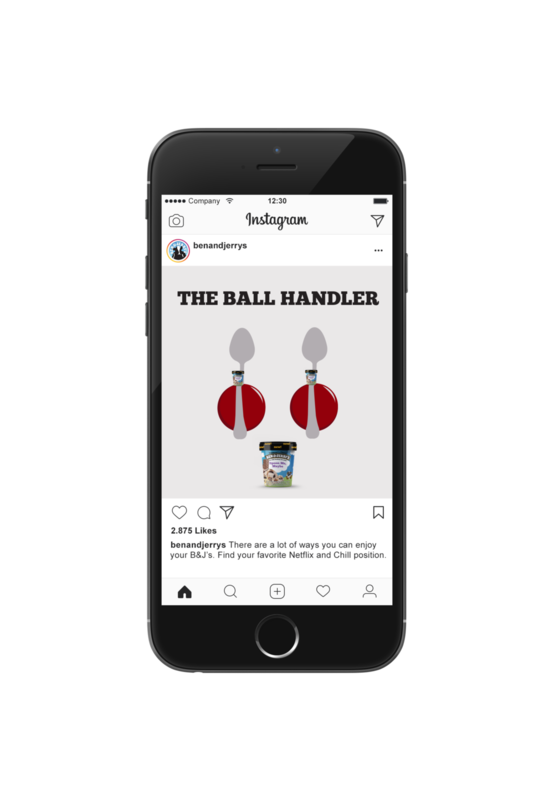 On Instagram we promote our desexualized Netflix and Chill positions and flavors.